Studies show that the majority of shearing time is consumed in set-up…not shearing. SQUAREGAGE reduces that set-up time and increases shear productivity, especially when accurate square blanks are required. 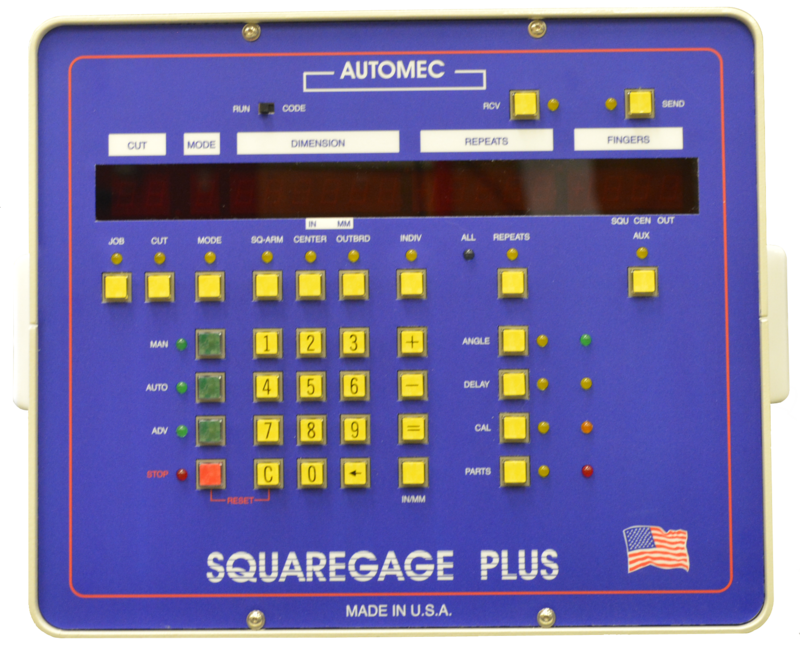 The Squaregage is a programmable front gauge that mounts to the front of a shear. It allows the operator to program one or more dimensions from flip stops to the shear blade. After pulling the material against the flip stops he uses the foot pedal to cycle the shear. Systems typically include a 10’ or 12’ squaring arm and 2 auxiliary 6’ drives.